For a quick overview of what Cape Town has to offer, watch our introductory video. For more, see our other videos of Cape Town. Although it has been open for some months now, the new Green Point Biodiversity Park is still relatively unknown but it is definitely worth a visit. The park, situated alongside the Cape Town Stadium, was created from the land which was essentially a building site during the construction of the stadium for the World Cup. Now it has been transformed into a wonderful open green space representing the diversity of flora found in the Western Cape - over 300 species are present. Walkways, water features, interactive displays and information as well as picnic spots, shaded benches and a truly wonderful childrens play area are just a few of the hightlights. The park is open from 7am-7pm daily and entrance is free. There are two entrances, one in Bay Road near the Green Point lighthouse, and another near the 'fan walk' on the Virgin Active gym side. With its wide variety of activities one could easily spend a week or more in Cape Town. It is a good idea to have a rough idea of what you would like to see and do while in Cape Town and plan a rough itinerary. Take a look at some suggestions on how to spend a 3-day or 5-day visit to Cape Town or join one of the many organised day tours from wine route tours to guided walks. Cape Town airport offers an excellent entry point to South Africa. The airport has recently undergone extensive renovations to bring it into line with international standards. When in South Africa it is advisable to hire a car as many destinations are not easily accessible by public transport. Although there are public transport systems in Cape Town, they are not entirely suited to the holiday maker and are not always reliable after hours. A self-drive tour starting in Cape Town and traveling through South Africa is a popular holiday choice. More on Cape Town International Airport. 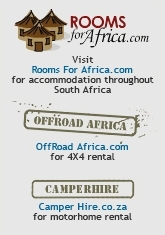 Pay a visit to one of the towns nearby Cape Town, explore the Breede River Valley, Overberg Region or West Coast. Take a scenic drive and take in the sights, or stay for a night or two.